I wanted to end this day with confessing something to our readers as well as talking about one of our features I am most excited about. Ok, confession time - I honestly don't know how many books are on my TBR list. I was using the Goodreads feature to import my Amazon ebook purchases and at one point, my TBR list was in the 800's and I am still not done. What is the cause of this supersized TBR list? I can only blame it on my one-click addiction. If I continue on this path, my TBR list will outlive me. Someone in my family will then inherit my TBR list, and I am afraid they will not be able to handle it. I sought out help from one of my fellow bloggers, Jenny, and we are working on an intervention for one-click addiction (we know we are not the only ones that have one!) and ways to tackle our TBR List and we developed one of my favorites features - Tackling the TBR. Tackling the TBR: We're entering our TBR (To Be Read) vaults in search of lost souls. Some books have been sitting in the catacombs so long we don't even remember putting them there (let alone one-clicking them). Join us as we rescue forgotten titles and finally attempt to make a dent in the never-ending beast known as the TBR list. We're looking to not only shorten our lists but also develop healthier reading habits. Want help tackling your TBR? 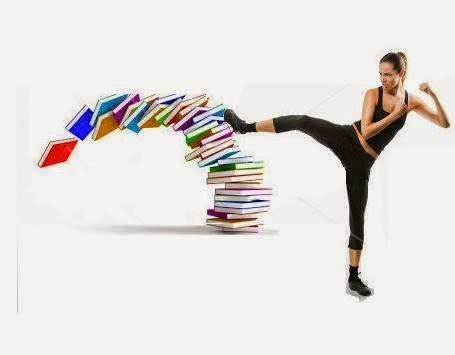 Be a part of our support system and lighten your e-reader one book at a time. Jenny said it best when she said, "Our journey will be tough but we're hoping to have your help. We need accountability and strength in numbers (I know you have a long TBR, too). Think of it as Weight Watchers for your Kindle." So I confessed how many books are on my TBR list (well, how many there are on it so far), let's hear how many are on your TBR list and if you are ready to tackle it. 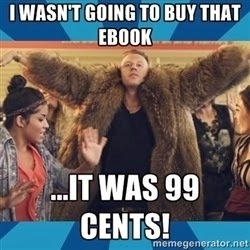 I didn't sync my Amazon and Goodreads because I know I have a lot of free and 99 cents books I don't have on my GR TBR. I recently just went through my Goodreads list and cleaned it out. It was getting a little overwhelming!! I feel so much better now that my TBR pile is a little slimmer.